It was time to become an Abundant Yoga Business Owner! GROWING YOUR YOGA BUSINESS IS SPECIFICALLY DESIGNED FOR YOGIS. If you're anything like me, you embarked on Yoga teacher training not because you wanted to make a heap of money, but because you wanted to share the amazing, wild, big and subtle joy that is Yoga. My Yoga Teacher Training was one of the best investments I've ever made in myself. It taught me WAY more than how to cue a pose. And I was thrilled to take those teachings out into the world. - Being terrified of putting my photo on the internet, so my online presence was terrible and no one could find me. And I stayed this way for YEARS. Fudge! Embarrassing as that is in hindsight, what it (finally!) forced me to do was get serious about my Yoga teaching. So I enrolled in all sorts of trainings, from copy writing, Facebook advertising, online marketing and editing through to financial management, budgeting, wealth consciousness and money mindset. None of it was designed for Yoga teachers. And some of it triggered me up the wahzoo!! But I persisted, percolated, alchemised and applied those teachings to my yoga business. And in giving myself this very firm kick in the glute max, I turned my Yoga teaching around. Complete unavailability for any drama, shame, overwhelm or discomfort about claiming my place as a Yoga professional... and an abundant one at that! Growing Your Yoga Business is an in depth, Yoga-specific business development training program that provides targeted, clear AND fun training to Yoga teachers on exactly how to grow an abundant Yoga business while making the alchemising shift to take their existing Yoga business to its fullest potential. You're tired of looking for support from local peers and hungry to hang out with Yoga teachers who are also really going for it in their Yoga businesses and want to see and celebrate you grow, succeed and be happy! is an in-depth 6-month program that can be accessed online and includes 8 video-based trainings + 8 modules, 9 live coaching calls, plus some VERY juicy bonuses that show you step-by-step how to make your abundant transition from Yoga teacher to Yoga Business Owner (including figuring out who you love to teach and why, developing a brand you love plus making the money you deserve). Discover your own brand values and attributes that set you apart from every other Yoga teacher so you can let go of comparison-itis for good! Discovering what fear, doubt and self-sabotage is all about and how you can begin to work against them to step into your new-found confidence! Knowing when and what to outsource, delegate or contract so you work in your areas of genius and stop trying to be all things to all people! Feel so confident and in integrity in the services you offer that you LOVE talking about them with your community! • Business Skills including marketing online and offline, branding, creating offers, list building, websites—everything you need to fill your practice with ideal students and clients. • Personal Development. Upgrading your mindset around making money, raising your standards, setting healthy boundaries, charging your worth, teaching from your heart and strengthening your confidence to be visible in the world. • Community & Friends! You deserve to have a supportive community who knows what you’re going through as you start or grow your business. You definitely don’t need to do this alone or figure everything out for yourself! Orientation starts mid February, 2019. Program finishes in August 2019. The 8 fillable workbooks will guide you through each of the module topics in the program, without any fill or fluff: just use-right-now insights, templates, tools and copy. Twice per month you’ll dive into new learning modules containing training videos, digital workbooks, templates and activities that will teach you everything you need to know about how to develop your business, your skills and yourself to become an abundant Yoga business owner. 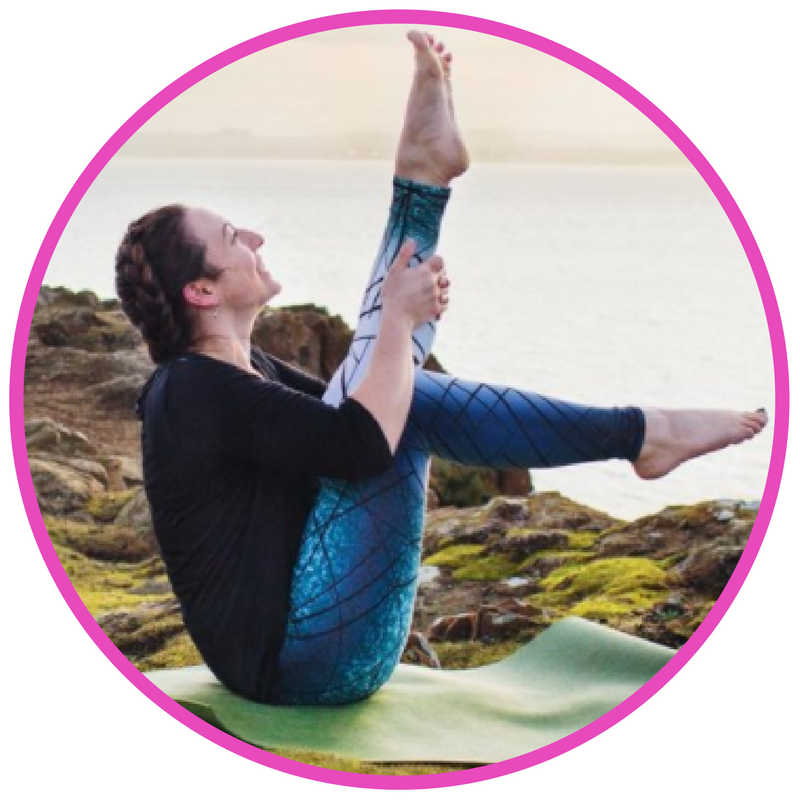 Each module includes a training video where I'll go through the content in greater depth, sharing stories and examples from Yoga, my clients and my own business growth journey so you can really see how to apply the teachings in a pragmatic way for quick results. *Note: there will be a few nerdy Yoga gags included. Laughing will be optional. These videos will be available to view as many times as you like. Your investment in the program includes lifetime access to these resources. These calls are where you get your personal questions answered, so we can tailor the materials to where you are in your business growth. You'll also get to know your colleagues and learn from each other as we move through the material. Each module also includes a live group question and answer call with me and the other amazing participants in the program. This program is the richest blend of Sangha and fun, group learning with potent, Yoga-specific business teachings. My Sankalpa is that is provides everything you need to transform your Yoga teaching into something more sustainable, more rewarding and more abundant. a 3-hour private video coaching intensive with Amy to be used any time over the next six months! I'VE TAKEN ALL THE NON-YOGIC BIZ DEVELOPMENT TRAININGS SO YOU DON'T HAVE TO! Everything you'll learn is directly relatable to what it means to be a Yoga teacher, what it means to walk a Path with commitment and integrity and what it means to offer something you passionately believe in from the heart, as your spiritual Path AND your source of income. I'm a Yoga teacher, too. I get the challenges and the triggers of being a Yoga teacher who desires abundance AND to be of service. I know how this can be perceived by some in our community. And I also know how we can be perceived by those not in our community. ...to talk about what Draupadi's magical sari can teach us about abundance. I'd much prefer to share with you how feeding our Anadamaya Kosha is essential for business growth.